More and more refugees from all over the world are seeking refuge in Germany. Numerous private initiatives are actively supporting asylum seekers and providing them with a new home. A German student sharing an apartment with a refugee from Afghanistan. A Grandhotel that takes in asylum seekers along with its regular guests. A project in which single mothers live alongside refugees. Those sound like pie-in-the-sky ideas – but they have actually become reality. In Germany, more and more people are becoming actively involved in such non-governmental initiatives to help refugees. The fact is, while politicians and the public are debating about tightening or easing German asylum laws, large numbers of people are getting stranded in Germany every day. They include people fleeing from the war in Syria, the military dictatorship in Eritrea or massive discrimination and marginalisation in Serbia. In 2014, more than 170,000 people sought refuge in Germany, 58% more than the previous year. No other European country has more refugees applying for asylum. But space in refugee hostels is growing scarce and asylum seekers generally face a lot of red tape. There is little room for humanity. With policy-makers struggling to deal with the situation, resentment towards asylum seekers is growing in some sections of the population. Since October 2014, thousands of people in Dresden and other German cities have been demonstrating every week against what they consider failed German and European migration and asylum policies. The movement calls itself Pegida, a German acronym that translates as Patriotic Europeans Against the Islamisation of the West. In late January 2015, 25,000 followers of the movement gathered in Dresden. In May 2015, though, only 3,000 demonstrators took part. Most Germans believe that the fears expressed by the Pegida supporters are based merely on prejudice and feelings of resentment. For months now, tens of thousands of counter-demonstrators have been taking to the streets to call for more tolerance. More tolerance towards foreigners and refugees is what the initiators of the online platform Flüchtlinge Willkommen (Refugees Welcome) would also like to see. “People should be glad to take in refugees – there’s so much prejudice and ignorance,” says the Berliner Mareike Geiling, one of the platform’s initiators. 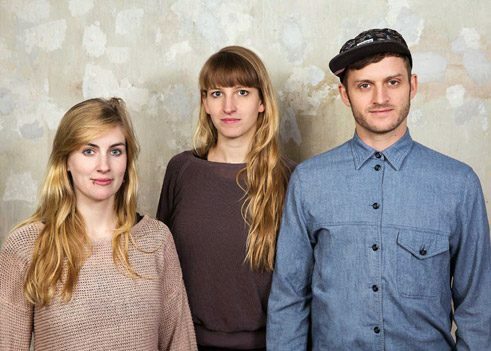 That’s why she, her flatmate Jonas Kakoschke and social worker Golde Ebding developed an Internet platform that arranges private accommodation for asylum seekers across Germany. Since the initiative was launched in winter 2014 until early summer 2015, more than 1.200 flatshares and private households from Germany have registered to help. Aid organisations put them in touch with the refugees, arrange introductions and settle the financial side. “If the refugee is legally entitled to stay in Germany, the authorities in some German federal states and municipalities cover the costs of accommodation and maintenance,” explains Geiling. In the case of “illegalised” refugees in Germany, the rent could, she said, be paid through micro-donations, for example. The idea works. The initiative has since gained traction in Austria, too. There have even been inquiries from Switzerland, the Netherlands and Portugal. Another approach to integrating refugees is that being adopted by the Grandhotel Cosmopolis, located in the centre of the Bavarian city of Augsburg. Whether asylum seekers, business travellers or tourists – they all stay in this hotel under the same roof. It has twelve individually appointed hotel rooms, four hostel rooms, artist studios, a restaurant and a café, which are operated by the non-profit organisation Grandhotel Cosmopolis. And communal accommodation for refugee families with children, which is funded by the Swabian government and co-run by the hoteliers. The word “refugee” is, however, rarely heard in the hotel, which opened its doors in July 2013. “We only have hotel guests – with and without asylum,” says co-initiator Susa Gunzner, adding that no distinctions should be made on the basis of background, nationality, social milieu or skin colour. In contrast to the usual hostels, where asylum seekers have little contact with the outside world, the Grandhotel is designed to enable them to live as normal a life as possible. Here, there is always someone available to help with translations, visits to the doctor and completing applications. And instead of sharing a sparsely furnished room with five strangers and sleeping in bunk beds, families have their own bedrooms – with proper beds that have been donated like the rest of the furniture. A similar initiative, called Bellevue di Monaco, is now planned in the centre of Munich, where the collective Goldgrund intends to launch a housing and cultural project for asylum seekers and young families – with rooms set aside for educational and counselling purposes as well as an info café. The City of Munich has since been won over to the idea and plans to support the project. So the next private initiative will soon be helping to ensure that in future more refugees feel at home in Germany – and more Germans welcome asylum seekers. Nicole Sagener lives and works as a freelance journalist in Berlin. She writes for publications including Zeit Online and Der Tagesspiegel.